Retina: The Retina is the light-sensitive tissue at the back of the eye. When light enters the eye, the retina changes the light into nerve signals. The retina then sends these signals along the optic nerve to the brain. Without retina function, the eye cannot communicate with the brain, making vision impossible. Throughout these years, Dr. Mansour has been involved in several areas of both basic science and clinical retinal research. He has presented his extensive research at numerous national and international conferences including the American Academy of Ophthalmology, Association for Research in Vision and Ophthalmology, and the Joint Commission on Allied Health Personnel in Ophthalmology. 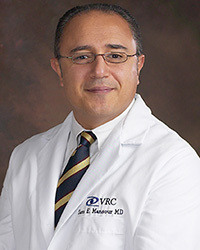 He has also authored and co-authored several articles in peer review journals including Archives of Ophthalmology, American Journal of Ophthalmology, Ophthalmology, Retina, the Canadian Journal of Physiology and Pharmacology, the Canadian Journal of Ophthalmology, Investigative Ophthalmology & Visual Science and the New England Journal of Medicine. In addition, he has authored several chapters in both medical and ophthalmology textbooks. We look forward to providing the local community with a full range of vitreoretinal services. Our kind and courteous staff is available to answer your questions at any time. 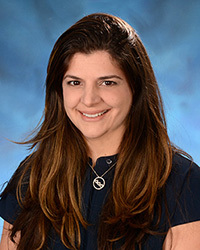 Prior to joining the The Eye Center, she was Assistant Professor for the Department of Ophthalmology and Visual Sciences at the University of Maryland, School of Medicine. 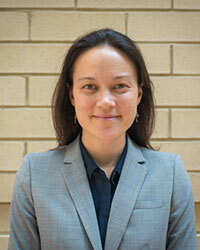 She enjoyed teaching and working closely with ophthalmology residents and medical students. While at the University of Maryland, she was the certified ophthalmologist in the multicenter EDIC (Epidemiology of Diabetes Interventions and Complications) trial, which was the follow up study for the historic DCCT (Diabetes Control and Complications Trial). Dr. Patronas also participated in several clinical trials at the University, exploring the effect of chemotherapeutic agents on the eye and retina. The staff at the The Eye Center is very pleased to have Dr. Patronas as an Associate Physician and Surgeon, who will see patients in both the Leesburg and Warrenton offices. Dr. Crossan completed her undergraduate degree in environmental science at Stanford University. She earned her medical degree and completed an ophthalmology residency at Albert Einstein College of Medicine. She completed a vitreoretinal surgical fellowship at Medical College of Wisconsin in Milwaukee, Wisconsin. Dr Crossan is board certified by the American Board of Ophthalmology and a member of the American Academy of Ophthalmology as well as the American Society of Retina Specialists. Below are several Retina Conditions and Eye Health educational videos. Each topic has a playlist with multiple videos you can view to learn more about that topic. Also see our Eye Health – Video Library and the Eye Health Education pages for more eye health information. The Eye Health Education information is provided only as a guide to help our patients and visitors to learn more about eye health. You should seek the advice of an eye care professional. Please contact us if you have any questions or to schedule your eye exam.